Prernamurti Bharti Shriji states here Shravan maas significance, procedure of worship and description of various offerings. 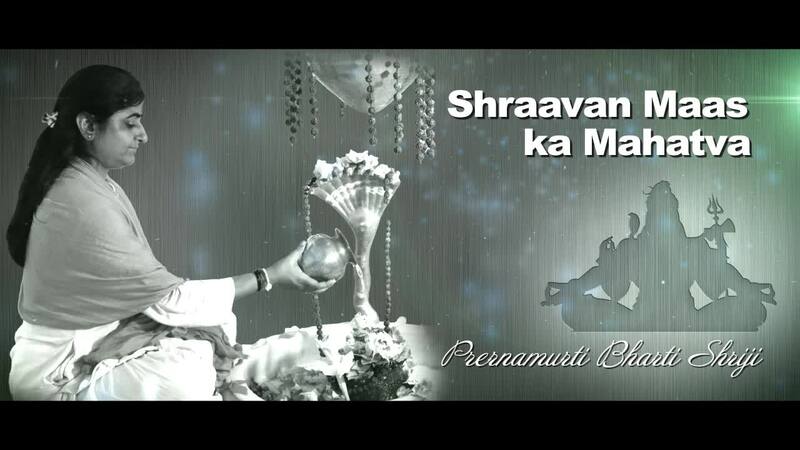 Prernamurti Bharti Shriji explains “Shravan maas is the month for worship of Lord Shiva. Devotees worship Lord Shiva with devotion, enthusiasm, and affection.. As Lord Shiva is deity of welfare, ‘श’ stands for (sukh) happiness and (anand) joy, “ई” stands for men (purush), ‘व’ stands for power (shakti) .Shravan maas is the month of providing happiness and joy to all female to male, the whole world worshipping Lord Shiva. Shukh (happiness), Ananad (joy), Paurush bal (male strength) and (shakti) power all of these comprise Lord Shiva. The divine darsan of Lord Shiva should be done in morning (pratha kal), before noon. The water mounted on Lord Shiva should not be violated (langhan). Even the flora (Nirmalya) offered to Lord Shiva should not be violated, nor to be distributed.It should be snorted first, touched to eyes and then flowed into the river or put on near plants . If Lord Shiva devote is donated kheer or food near Bilva tree, one would never become poor. One who lits lamp (deep) near Bilva tree gains Tatvagyan (philosophical knowledge) and pleases Lord Shiva. When a home is discarded of Love, and growth of unrest takes place, one should perform plating of milk on ‘Shivling’which makes you attenuate happiness and fortune. Offering sugarcane juice on Shiva linga, leads to bliss and offering sugar diluted milk on ‘Shiv linga’ makes one to gain excellent intelligence similar to Jupiter (brahaspati). What else Lord shiva can give you instead of ‘welfare’, hence Lord shiva should be worshipped with ‘Faith’ and ‘Affection’”.